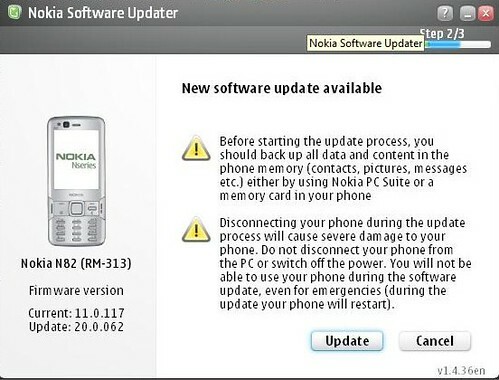 The gods of firmware upgrade this time have smiled upon the Nokia N82, upgrading it to V 20.0.62. This release adds Flash Lite 3, so the phone can stream flash content. It also brings integrated geotagging, so that there is no need to use a 3rd party app like Shozu to geotag the pictures taken on the phone. It also finally brings Web Runtime which if I understand correctly, monitors the usage of the web browser, from execution to termination. There are also tweaks to bluetooth and camera settings. On a relevant note so far in the last few months most of the hi-end Nokia Nseries devices have received a significant firmware upgrade. The only shining exception is the N95-3, the poor child of the Nseries family left alone in front of the door footsteps of the US consumer market. People and users here are already unsatisfied with how warranty issues are handled in the US, and the lack of firmware upgrades is another manifestation of the absence of dedicated support in the US from Nokia.